There are times when it seems everyone is talking about integration without actually looking at what integration truly means. It becomes just another buzz-word used to slap social media or digital tools onto a traditional marketing campaign. Which is sad, because being truly integrated is what provides the most success. Starting to think along those lines can be challenging, but in the end your organization will be the better for it. What is the driving force behind integration? Understanding & knowing yourself and your customers. Your SWOT is more than just a marketing exercise, it should be part and parcel of providing deep insights and a launch pad to developing your strategies. When you layer on analytics intelligence and social monitoring you have actionable data you can start to look at across your touchpoints and develop the best approach. And that’s where things tend to break down. What are your touchpoints? What are the extensions from those, both short and long-term? Is what you’re doing in marketing relevant and of value? It can be. Look at your goals and how extending your efforts can enhance them and accelerate them forward. Who are your stakeholders and what are their pain and joy points? Where does your Research & Development come into play? How can you make your customer service more robust and meaningful? Extend your ideas into where they naturally fit, don’t just accept the same old media buy as the only answer. Take the time to understand your audience and where they live, work, and play. If it doesn’t align to the 30 second spot or a traditional banner ad, don’t waste your time, money and resources there. Big ideas well planned deliver big results. While we’re looking at where to best allocate our time and resources it’s always a good idea to ask if you have the right people in the right roles. Just because your organizational structure states that this person “does interactive” doesn’t mean they are the right fit to “do social”. Integration happens by connecting the disparate pieces that should be connected to tell a cohesive, meaningful, and evolving story. Not by one-offs and force-fits. When publishing “Join the Conversation“, Joe Jaffe decided to take a collaborative approach to it’s marketing (dubbed “UNM2PNM” or “Using New Media to Prove New Media”), to prove that a book could be a success without the huge launch support of most book publishing events. He offered up 150 review copies to bloggers who requested it and agreed to post a review, positive or negative, on their site. Having enjoyed “Life after the 30 second spot” and his blog, I thought I’d take him up on it. Joe Jaffe is a passionate guy and it comes through in this provocative call to action to corporations used to shouting at their customers from their ivory towers. Its rallying cry to speak ‘with’ your customers vs. ‘at’ them is a gospel truth for any business in my view. But Jaffe is also realistic and one of the key points he makes is that brands can “catalyze the conversation”. Joining a conversation implies participating as an equal partner, which is an ideal situation. However, it doesn’t mean that a brand cannot step up to the plate and lead the conversation or attempt to take the conversation to the next level. I absolutely agree. The caveat is that it has to be done transparently and with actual vs. forced value. Equally valuable in my view is his addition of 3 new “C’s” to the original new marketing model premise from the late 90’s of the 3 C’s. The original three are: Content, Commerce and Community. Jaffe adds three more to the mix with: Context, Customization and Conversation, and by doing so brings much needed additional depth to the discussion. Although I feel that the book is absolutely a must read, especially for traditional marketers struggling to come to grips with “Web 2.0″ and “social media”, I do feel that there are a few weak spots that may fundamentally occur by his insistence on separating conversation from communication, which makes some of his arguments appear forced and not fully articulated. Conversation is communication, otherwise it’s a different form of one-way dialogue. The ultimate goal of any conversation, or communication, should be to build a relationship. Jaffe actually makes these same points at various points in his book, however, because of his aversion to talking about “relationship marketing” the basic premise appears forced to become a catch phrase. His own examples in places can contradict his main point of only a few paragraphs before. For example, in “The Ten Tenets of Good Conversation” he talks about how traditional advertising is built on a web of lies and we are constantly going to market with deficient products that we are lying about to consumers, yet later on in that same section he mentions “Snakes on a Plane” as an unqualified viral success, but states the studio could have done more to drive box office receipts after opening weekend by offering up the stars for interviews with bloggers and such. Perhaps. But after opening day the buzz shifted from how cool the film concept was (and the nostalgia for Sam Jackson as Pulp Fiction character) to how absolutely awful the movie actually was. More buzz online can’t make up for a bad product. With social media/ new media as with traditional advertising; you can’t mask a bad product behind buzz. I also feel that in many ways the book neglects to truly take technology and historical context into account and provide a deeper understanding as to why some parts of the culture at large are embracing two-way conversation and mashing up their own brand related content (or the Read/ Write Web) at this point in history. And on the flip side, recognizing that an equally large portion of the population has no interest in having a conversation with a brand, or having them insert themselves into their social interactions. By somewhat disparaging “traditional interactive” (by which I gather he means email, websites, search, online advertising, newsletters, games, etc. etc.) as just as much of a problem as “traditional advertising” Jaffe neglects to recognize how the technology has not only limited, but has also paved the road of experimentation to arrive at a point in time where two-way conversation online is possible. The “conversation” aspect has always existed in the online world that most people know, with email, live help, IM, etc. The ability for the consumer to *start* or change, the conversation with potential strangers and have it exist for posterity is what has significantly changed in my view. Although it has it’s flaws (as does everything in life! ), I absolutely feel JTC is a valuable addition to the marketing conversation and should be a must read in not only Fortune 1000 corporate boardrooms, but is also incredibly valuable for smaller organizations looking to make a difference and engage their customers as a competitive edge. Which chapter of Join the Conversation is comprised of thoughts from contributors on the Wiki prior to the books publication? Update: And the book is gone! As was only a matter of time, a debunker has arisen from the marketing world to take on the "Influencer" theory, which was brought to mainstream consciousness with Gladwell’s The Tipping Point, and is a foundation of current word of mouth marketing. Not surprisingly, there are immediate (and invested) detractors and a lively debate will most likely ensue. 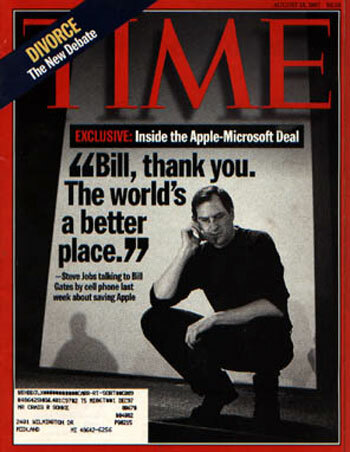 I’ve been away from the blog for a bit and had a post started and saved entitled "Apple’s billion dollar WOM success story" in response to a lot of the assertions following MacWorld as to the truly organic nature of the Apple brand story. Needless to say, it seems it’s appropriate to now merge it into this one! Well I’ll be darned. Watts believe that companies can’t will a trend that grows small and spreads large into existence. If Watts then, can explain to be the growth of Facebook, MySpace, Wii, Prius, Starbucks, eBay, Apple, Burton, Jones Soda, Maker’s Mark, Innocent Drinks, Harley Davidson, lululemon and a host of other products that have eschewed mass media and have galvanized a brand community through grassroots experiences and targeting fans, ambassadors and influencers, then I guess I’ll reject most of what I’ve written about in my last 400 posts. I hate to be a wet blanket on the theories that all the ‘cool, hip’ brands eschewed mass media and are the pure products of influencer word-of-mouth, but, for most of these brands, traditional marketing and advertising was the way they reached critical mass, established their brand identity, and the blended approach they are currently using, in the case of Apple specifically, continues to drive their growth. Influencer cultivation and communication builds long-term and sustainable product loyalty and evangelism. Brand marketing brings out the over-arching brand essence, reaches a large and diverse audience, and helps discover new influencers. The era of setting this up as a competition between Apple and Microsoft is over, as far as I’m concerned. This is about getting Apple healthy, and this is about Apple being able to make incredibly great contributions to the industry to get healthy and prosper again. What a difference 10 years make and a carefully re-crafted brand image and massive amounts of dollars spent in traditional advertising to support the product launches. When I was in Los Angeles in 1997 – 2001 I distinctly remember the Think Different campaign… it was omnipresent: billboards, posters, TV, Internet… everywhere. And that type of ad spend was replicated in cities across the US and the world. Apple hasn’t stopped using traditional channels since… Mac vs. PC commercials are the latest incarnation and they aren’t only available on YouTube. EarthLink, while I was working there, played off of the edginess of Think Different with their own campaign… they wanted to be the Apple to AOL’s Microsoft. Unfortunately, then Microsoft got in the ISP game and the rest is history. Even the pure internet (and now name brand) companies advertised through mass channels when they launched, throughout the 90’s and ’00’s – Yahoo! was all over TV and radio with the annoying cowboy spots; eTrade on the SuperBowl, OOH, DM, print; Google out of home ads everywhere; MySpace 100M blast email campaign; eBay was launched with print and radio and added in TV in 2000… and the list goes on. And in so far as Prius goes, sure the celebrities riding around in them gives the campaign cachet, but the classic automaker TV, print, web, OOH, and event marketing certainly helps build the awareness over the long term. I also think I may have seen a few Wii TV spots before the holidays? Now, all of this being said, word-of-mouth cultivation and, more recently, social media strategies, are hugely important, and are needed to elevate the brand into a true dialogue and value exchange with customers, but it’s not the messiah. It’s about integration and understanding who your brand speaks to, builds products for, and respectfully letting them know about you and finding out how you can help them in their daily lives. It’s about telling a story that is meaningful, making people stand up and take notice, and providing a solid reason for them to do so. Sometimes that means convincing the high school design geek that Mac’s are cool 20 years ago, only to see him grow up to be Tim Burton and become an influencer to a mass audience. In the end: Branding still matters. Brand promises still matter. Products always matter. And the influencers and evangelists matter. The lifecycle matters and the integration matters. To do anything in a vacuum, and without understanding the symbiotic relationship between brand and consumer, is a recipe for disaster.